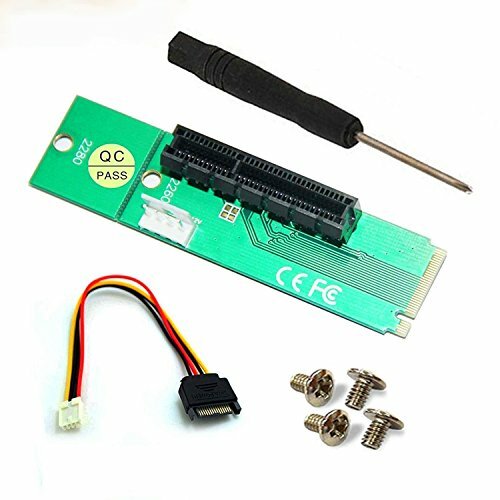 This adapter allows users to convert standard PCI-e 1x/4x card to NGFF(M.2) M key interface for Desktop or Laptop. Supports PCI-e X1/X4 card, Supports 2260/2280 type M.2 SSD module slot. not Satisfied with your Purchase for Any Reason, Please Feel Free To Contact Us. REAL PCIE 4X -- Support PCIe Gen2 (pcie second generation), PCIe Gen3 (pcie Third generations), but Only supports M.2 Socket 3 PCI-e-based slot. If you have any questions about this product by Timack, contact us by completing and submitting the form below. If you are looking for a specif part number, please include it with your message.